He is a reverted Muslim (formerly Born Again Christian), an Islamic propagator, and a popular figure in various Islamic radio programs and centers in the Philippines because of his fruitful knowledge on Islam and comparative religion. 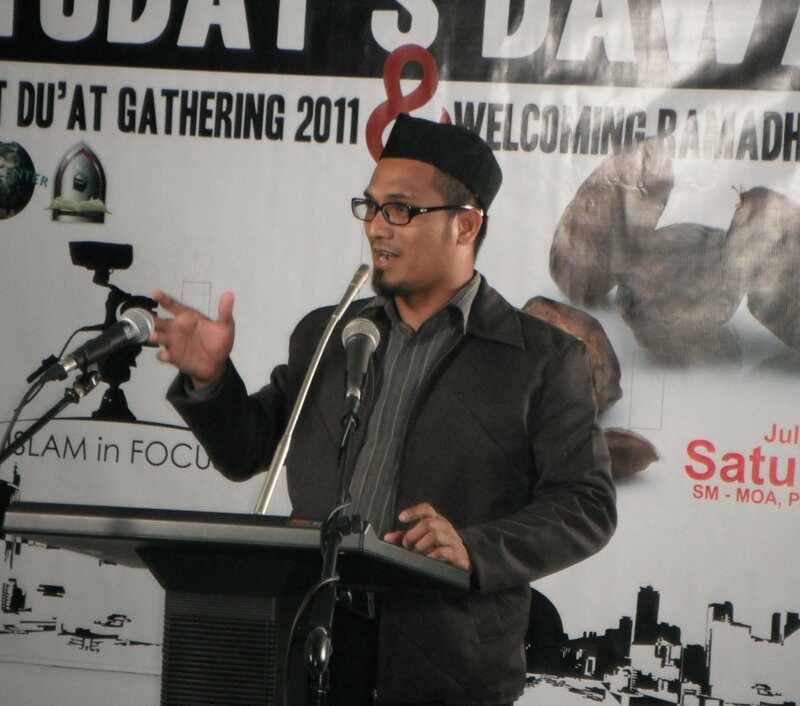 He traveled to Thailand, Indonesia to attend skill-share when he was in Greenpeace, and at present in United Arab Emirates not just only to work as a Public Relations Officer in an IT company, but to be of service to the Overseas Filipino Workers who are needing legal advices and assistance in regards to the registration of their Marriage and Conversion to Islam Certificate in Shari’a court in Zamboanga City, Philippines. In fact, he is the only Muslim speaker that shared the importance of Muslim Laws and its Code held at the Philippine Consulate General of Dubai, United Arab Emirates which was organized by Gulf Law. He was also actively involved in activities set by different Islamic centers in Dubai, United Arab Emirates; such as, Dubai International Peace Convention (Mohammed Bin Rashid Al Maktoum Award for World Peace) last 2012, Al Multaqa Ramadhan Forum 2013 and 2014 under the patronage of His Highness Sheikh Ahmed Bin Mohammed Bin Rashid Al Maktoum, and New Muslim Retreat (for new reverts) organized by Islamic Information Centre – Dubai at the Dar Al Ber Society. The Islamic center and library he established in Philippines is a non-profitable organization because he believes in the saying of our beloved Prophet Muhammad (pbuh), “seeking knowledge is an obligation upon all Muslims (male and female)”. For him, knowledge can be acquired thru reading, listening and traveling because calling the people to Islam is a noble job but a challenging task. Allah ta’ala knows best! He strongly believed that being an Islamic propagator is not a part-time job nor a business, but a life-time commitment until someone reaches his grave and face the Creator-Allah. He serves as a wake-up caller, an eye-opener to all truth-seekers and a champion of Islam against spiritual war mongers. His astounding achievement speaks for himself that’s why no other words to say except, Alhamdulillah – the Man from Philippines was born to guide, help and defend the crying Ummah of today! Allah ta’ala knows best! Whether Islamic or even a social gatherings in schools or even at work there is a chance to convey the message of Islam. In each place that he visited and with every people whom his words have been heard whether it may be about the law of man or law of God he never fail to give emphasize even with a hint that the only way and key to salvation is thru submission to the will of our Creator. It is like planting a seed and watching it grow in the life of those people and seeing them prosper and successful in their faith. In reality, every people whom he encountered along the way are the people who will carry the same message he started by virtue of his astonishing achievements he pioneered and by that - it will forever be remained, in-sha’Allah!